It’s my birthday, so obviously their must be cake. Duh! This is another cake that is incidentally gluten-free, but doesn’t require any weird gf-specific ingredients. 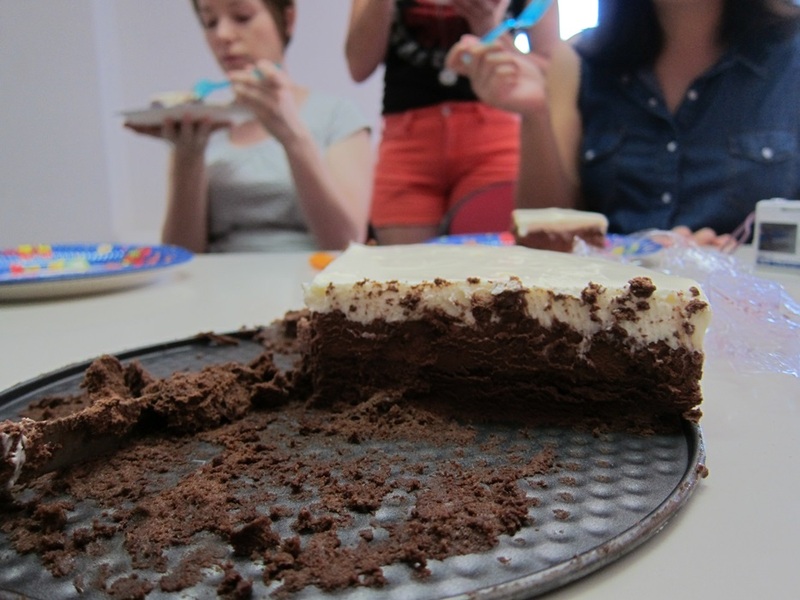 Everyone seemed to really like it, and thought it wasn’t too sweet or too chocolatey, despite the ingredient list. They were also trying to convince themselves that it must not be hugely fattening, because it’s gf, but… not so sure about that one? I’m not doing the math! Yep that’s a picture of vegetables suspended in gelatin. I rather assumed that died decades ago and/or immediately after the first time it was suggested? To make the bottom layer, first grease a 9″ springform. (Mine continues to be bigger than that/you don’t get pans in inches in metric countries.) Preheat your oven to 325 degrees. Combine the butter, chocolate, and espresso powder in the top of a double boiler and melt, stirring occasionally, until smooth. Remove from the heat and cool 5 minutes. Whisk in the vanilla and egg yolks, then set aside. 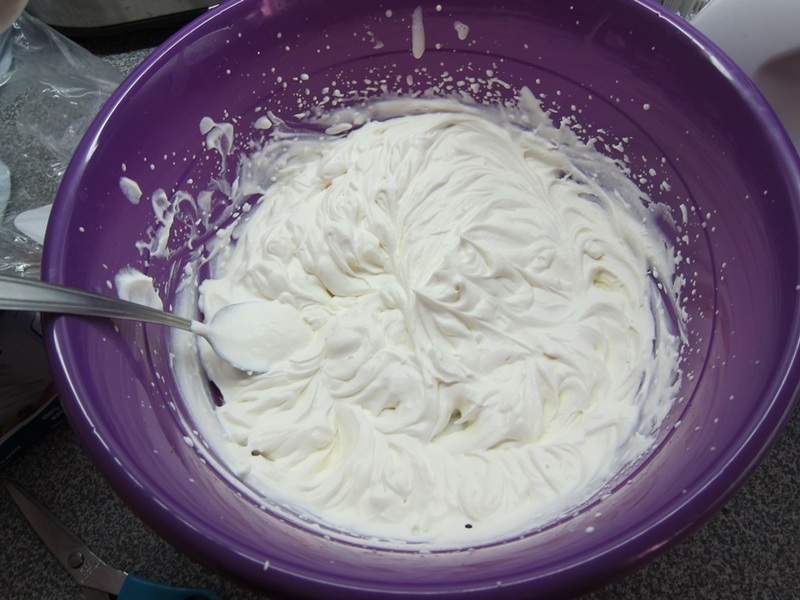 Using a mixer, beat the egg whites and salt together at medium speed until frothy. Add half the brown sugar and beat on medium until combined. I think the brown sugar bigger crystals and more moist than at home. I gather they call it black sugar because the words for brown and coffee are the same, so it’d be confusing if it was ‘coffee sugar’. Add the remaining brown sugar and beat on high until soft peaks form. 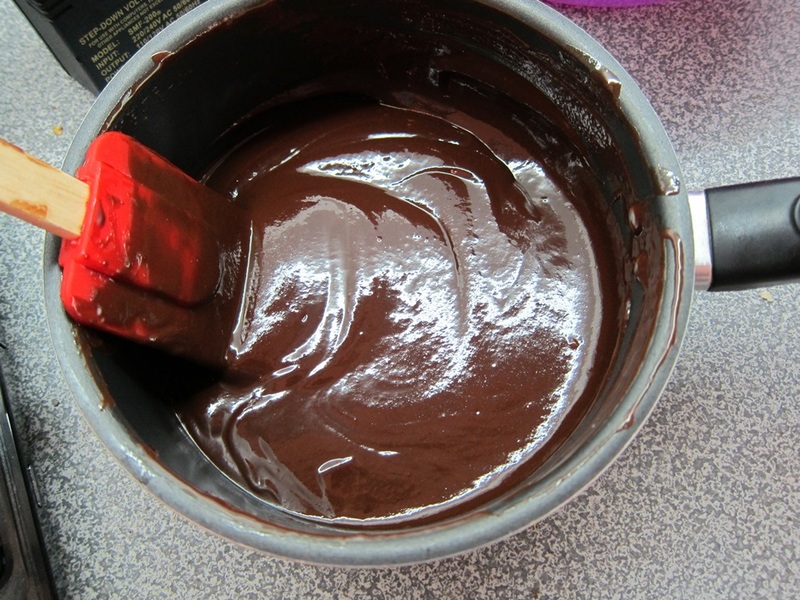 Whisk 1/3 of the egg white mixture into the melted chocolate mixture. 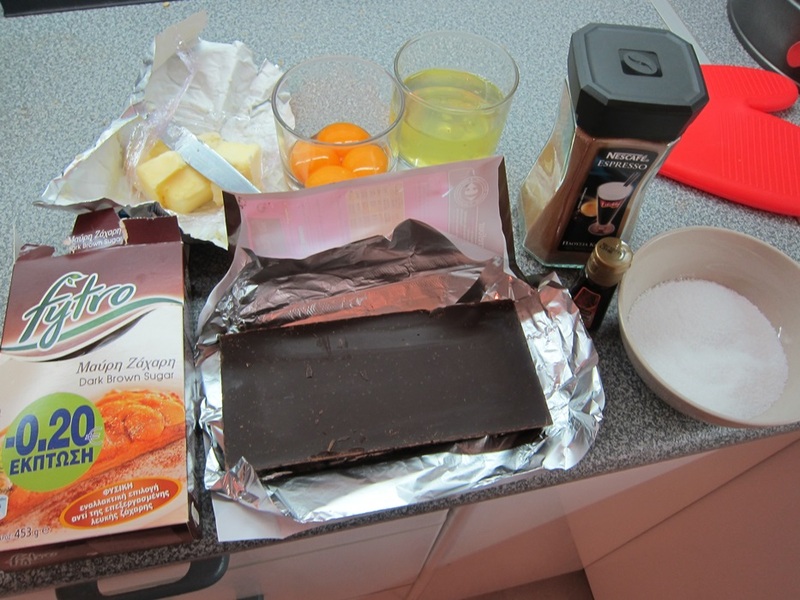 Gently fold the remaining egg whites into the chocolate mixture until even, then pour into the greased pan. Smooth the top with an offset spatula. Bake 13-18 minutes, until firm around the edges but still soft in the center. Set aside to cool completely, at least an hour. 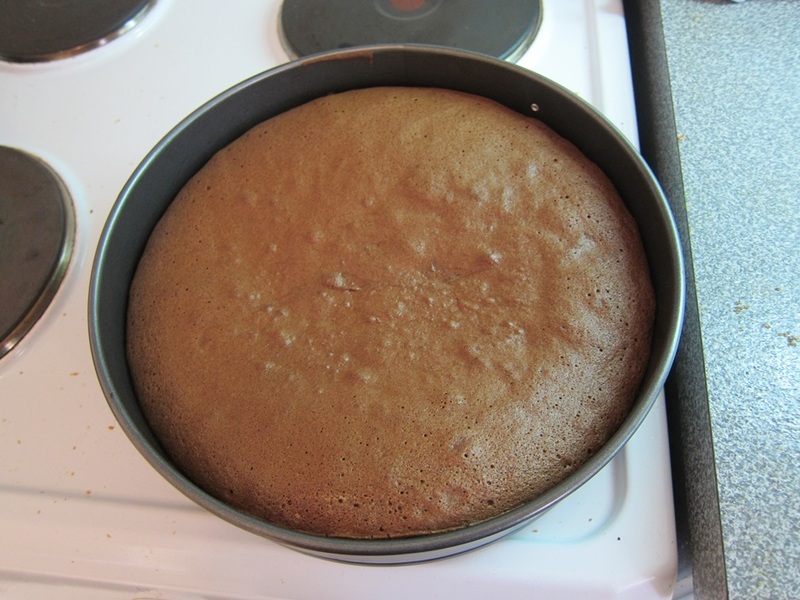 Don’t worry if it looks like there won’t be room for the other two layers, the cake will sink as it cools. 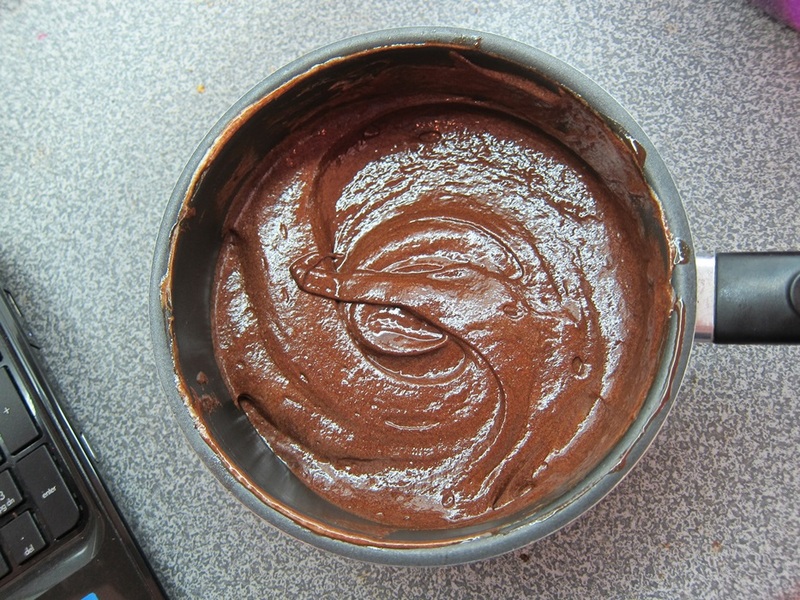 To start the middle layer, whisk together the cocoa powder and hot water in a small bowl and set aside. Melt the bittersweet chocolate, then let cool for 5 minutes. Meanwhile, beat the cream, sugar, and salt on medium speed until it begins to thicken, then increase to high speed and beat until soft peaks form. Unlike with eggs, cream beats up better when still well chilled. 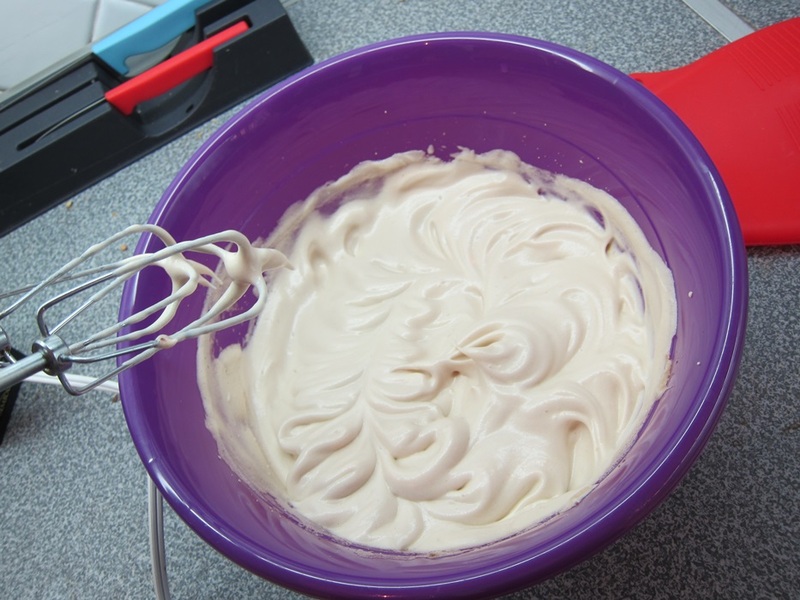 In fact, if you think of it in advance and have room, putting your mixer’s bowl and whisk in the freezer for a while before whipping the cream will help it beat up faster. You say tomayto, I say tomahto. You say metal bowl, I say plastic bucket. 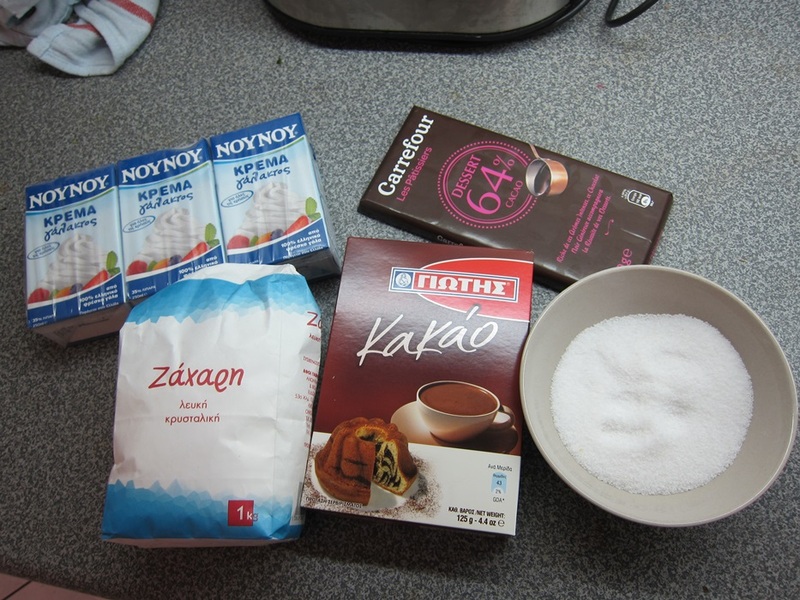 Whisk the cocoa powder mixture into the chocolate until well combined. No unincorporated water floating on top, please! Whisk 1/3 of the whipped cream into the chocolate until smooth. 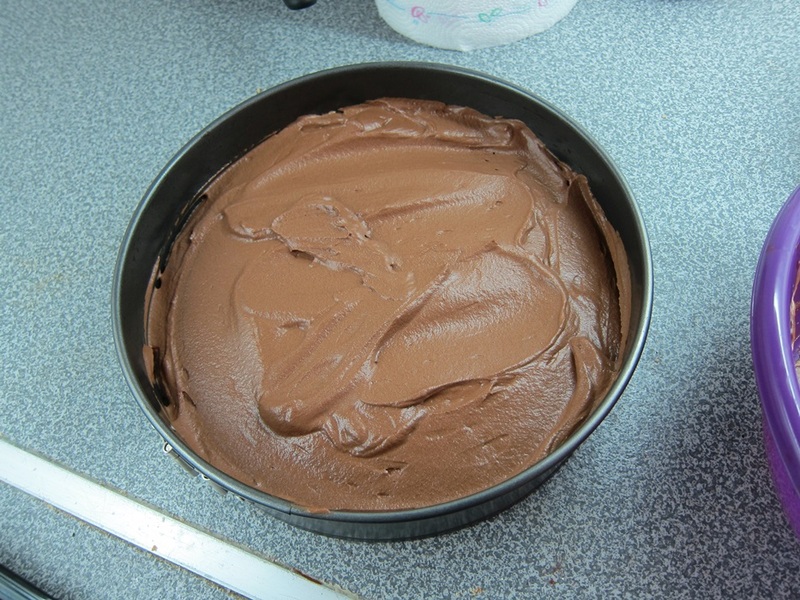 Gently fold the remaining whipped cream into the chocolate mixture, then spoon over the cooled cake evenly, tapping the pan gently on the counter to remove large air bubbles. Refrigerate at least 15 minutes. To make the final layer, first sprinkle the gelatin over the water in a small bowl and let stand 5 minutes. Place the white chocolate in a medium bowl and set aside. 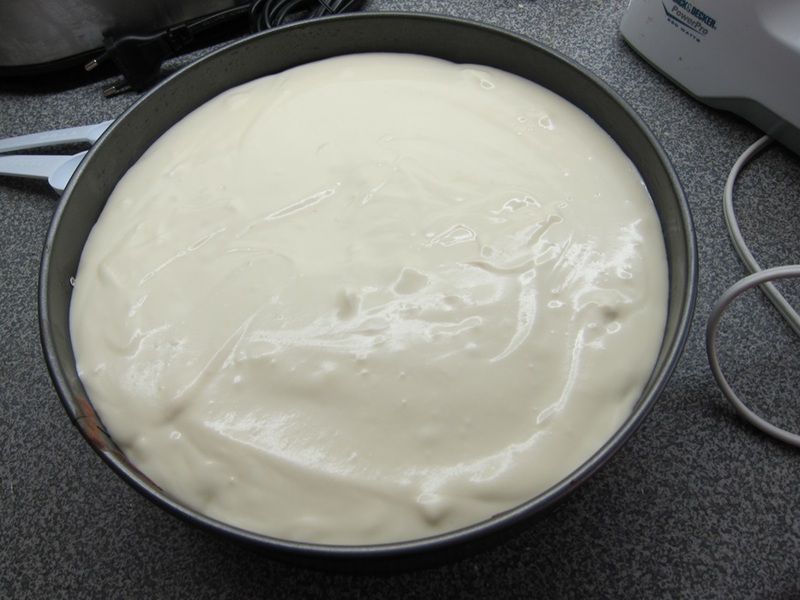 Bring 1/2 cup heavy cream to a simmer, then remove from the heat and pour over the gelatin mixture, whisking until the gelatin is fully dissolved and mixed into the cream. 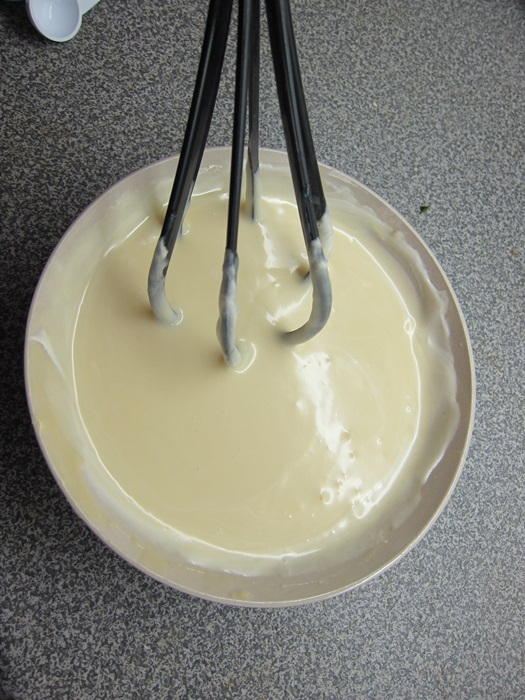 Pour the still-hot cream mixture over the white chocolate and whisk until melted and smooth. Let cool to room temperature, whisking occasionally. Again using your mixer, beat the remaining cup of cream on medium speed, until it begins to thicken, then on high speed until soft peaks form. Whisk 1/3 of the whipped cream into the white chocolate mixture until smooth. Gently fold the remaining whipped cream into the white chocolate mixture. 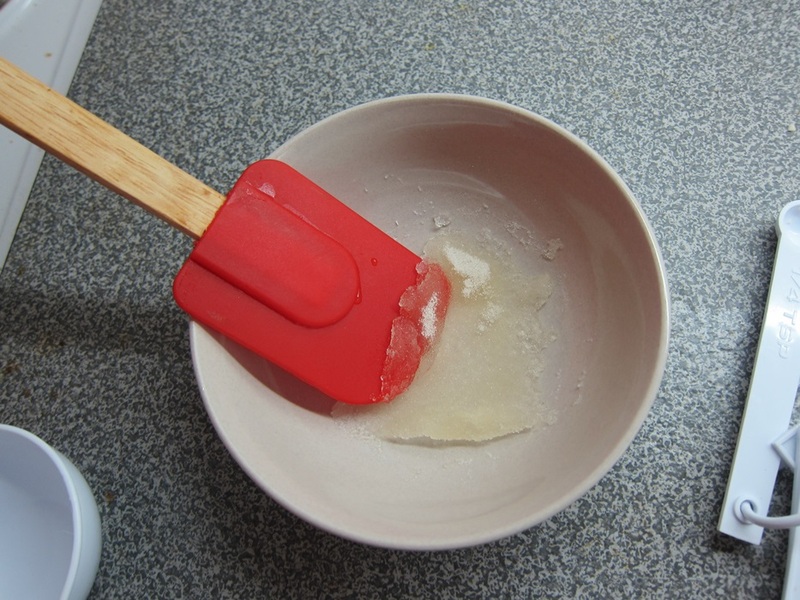 Spoon over the chilled second layer and smooth with an offset spatula (or the same single rubber spatula you’ve used for every other step in the recipe). Chill until set, at least 2 1/2 hours. 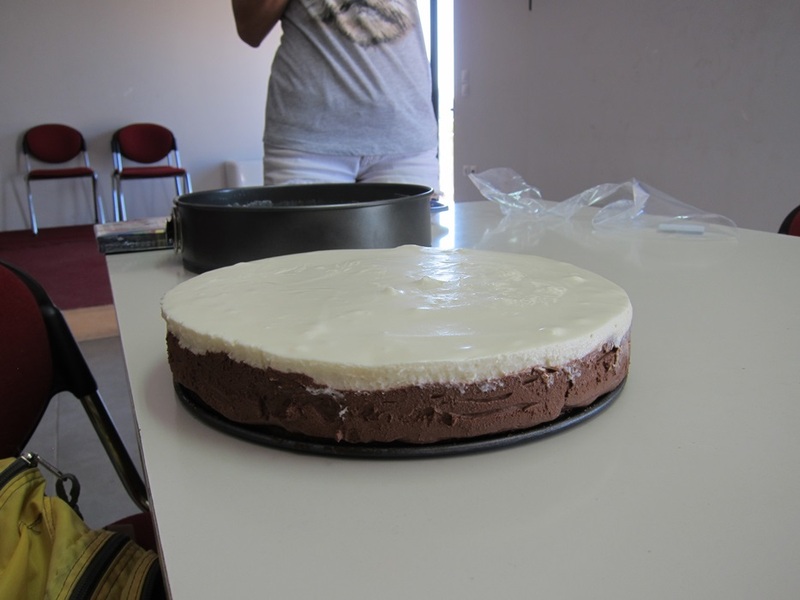 The cake can be made a day in advance, and it wouldn’t be a problem to make the first or first two layers, and get to the remaining one(s) the second day, as long as you still allow time for it to set before serving. For clean slices, run the knife under hot water between each slice, then wipe dry. That wasn’t really an option in a classroom, but no big deal. 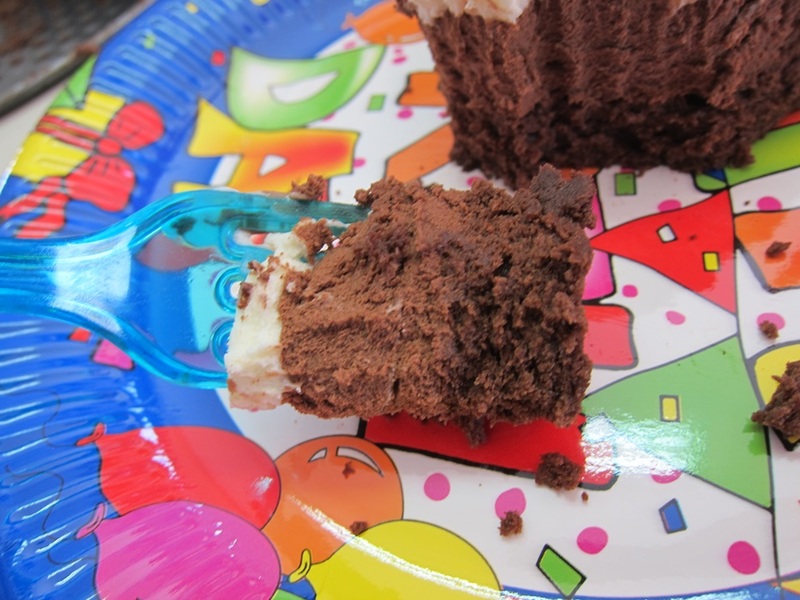 The cake is pretty light, all things considered, and I don’t see the leftovers lasting out the day. 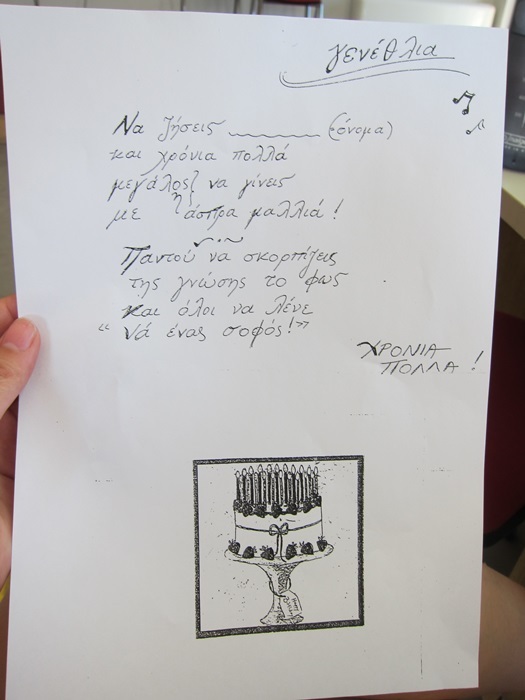 It’s the birthday song, in Greek! To make the bottom layer, first grease a 9″ springform. Preheat your oven to 325 degrees. Using a mixer, beat the egg whites and salt together at medium speed until frothy. Add half the brown sugar and beat on medium until combined. 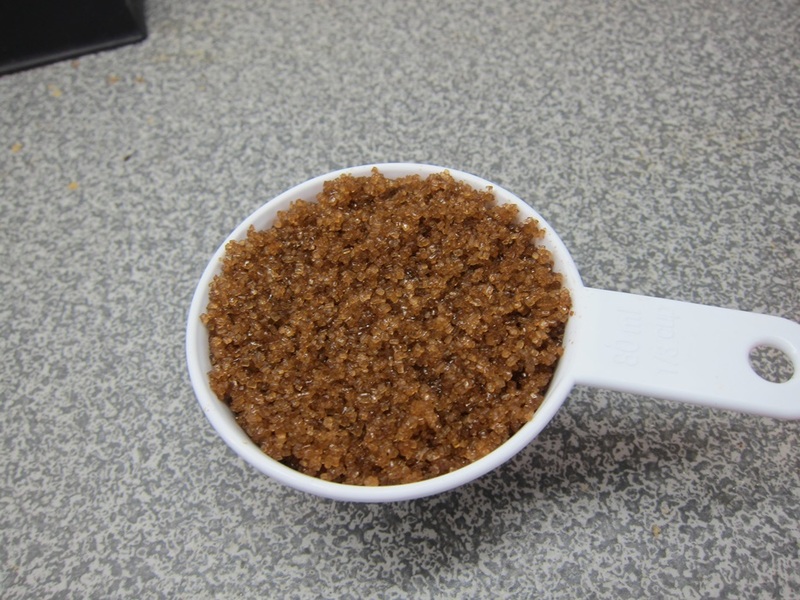 Add the remaining brown sugar and beat on high until soft peaks form. 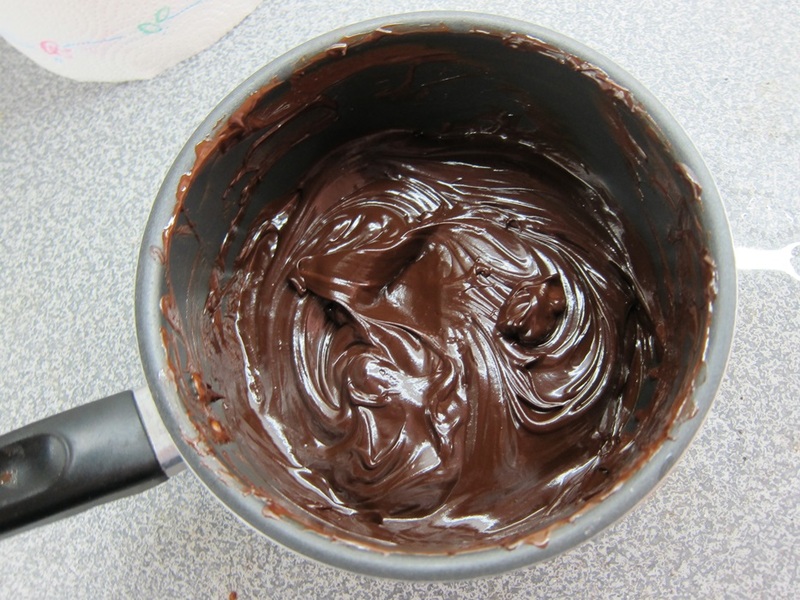 Whisk 1/3 of the egg white mixture into the melted chocolate mixture. 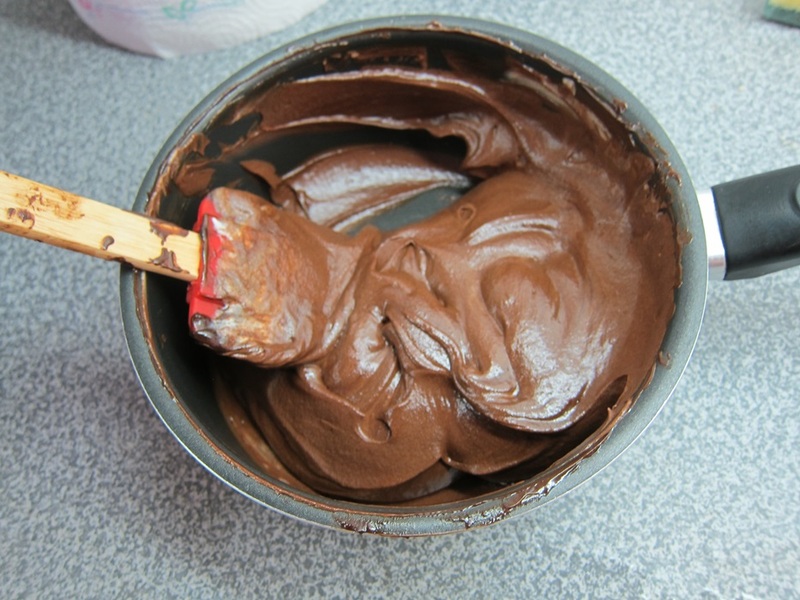 Gently fold the remaining egg whites into the chocolate mixture until even, then pour into the greased pan. Smooth the top with an offset spatula. Bake 13-18 minutes, until firm around the edges but still soft in the center. Meanwhile, beat the cream, sugar, and salt on medium speed until it begins to thicken, then increase to high speed and beat until soft peaks form. Whisk 1/3 of the whipped cream into the chocolate until smooth. 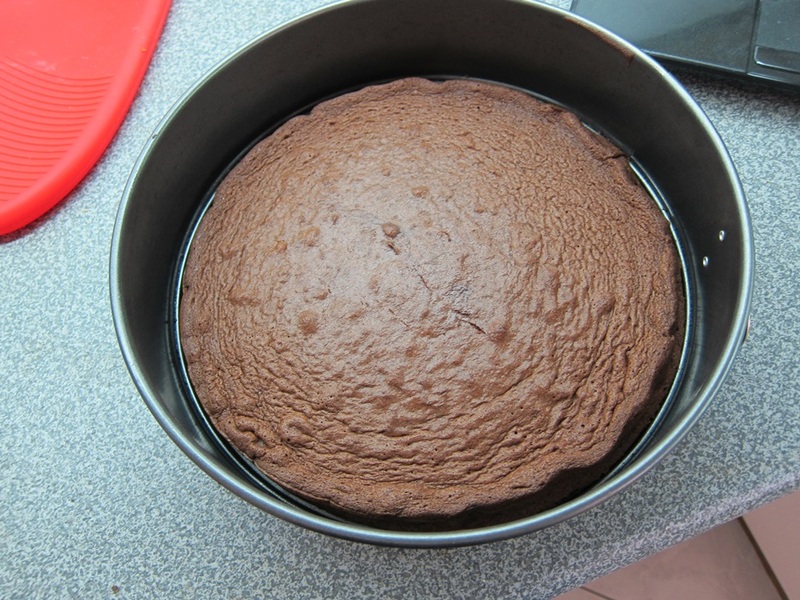 Gently fold the remaining whipped cream into the chocolate mixture, then spoon over the cooled cake evenly, tapping the pan gently on the counter to remove large air bubbles. Refrigerate at least 15 minutes. To make the final layer, first sprinkle the gelatin over the water in a small bowl and let stand 5 minutes. Place the white chocolate in a medium bowl and set aside. 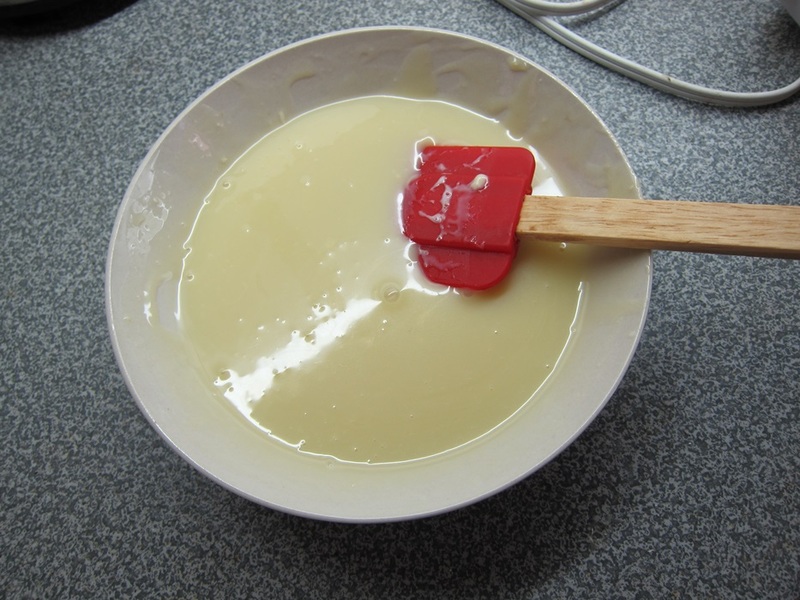 Again using your mixer, beat the remaining cup of cream on medium speed, until it begins to thicken, then on high speed until soft peaks form. Whisk 1/3 of the whipped cream into the white chocolate mixture until smooth, then gently fold the remaining whipped cream into the mixture. Spoon over the chilled second layer and smooth with an offset spatula. Chill until set, at least 2 1/2 hours. 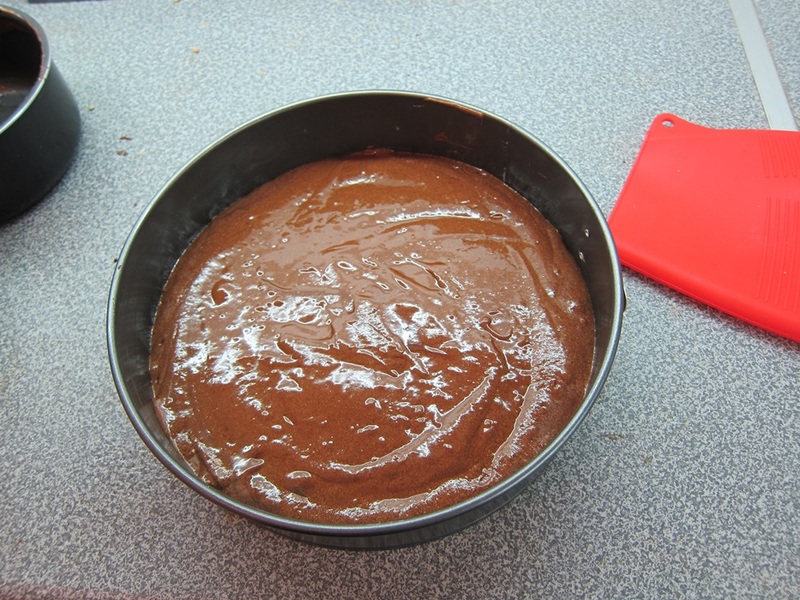 Remove the cake from the fridge and let sit at room temperature for 45 minutes before using a thin knife to separate the edges of the cake from the walls of the pan. 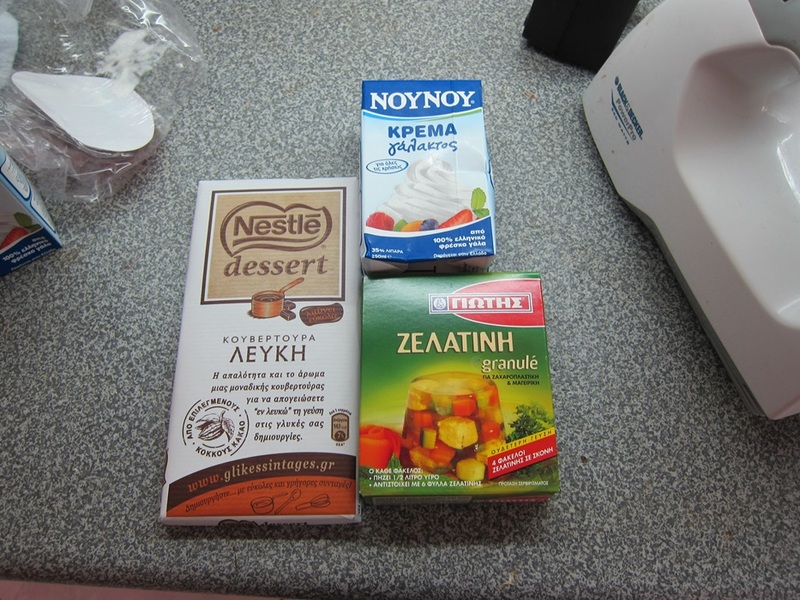 This entry was posted in Dessert and tagged birthday, Cake, Chocolate Cake, chocolate mousse, White Chocolate. Bookmark the permalink. 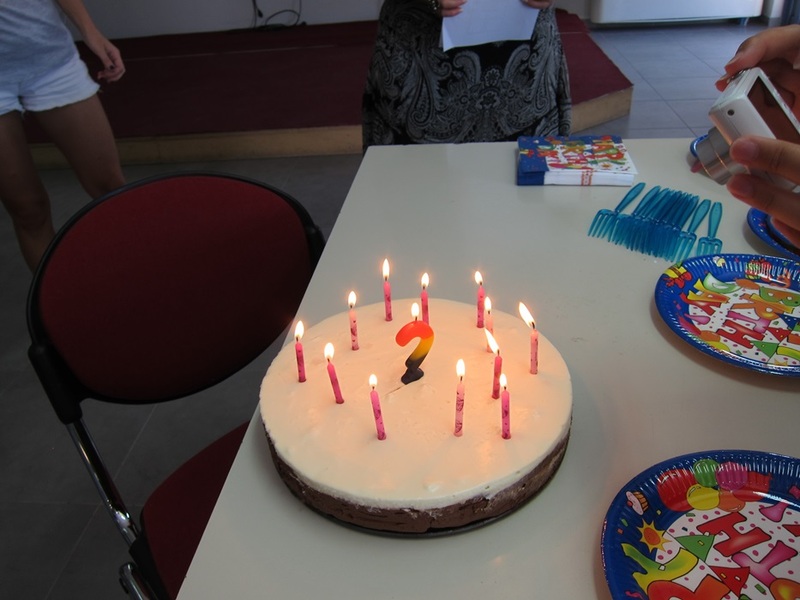 Also, we may really need a recording of the birthday song. The internet needs it.